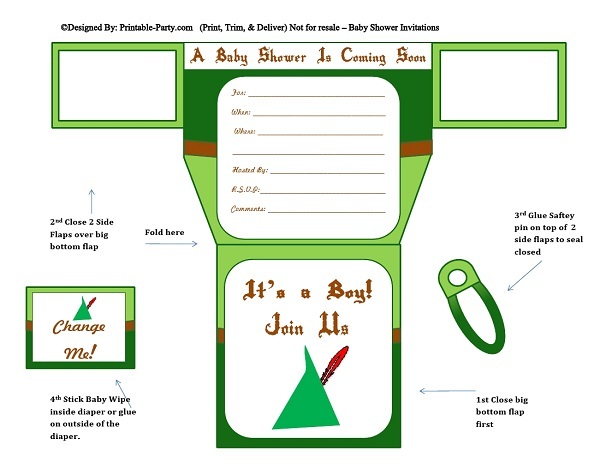 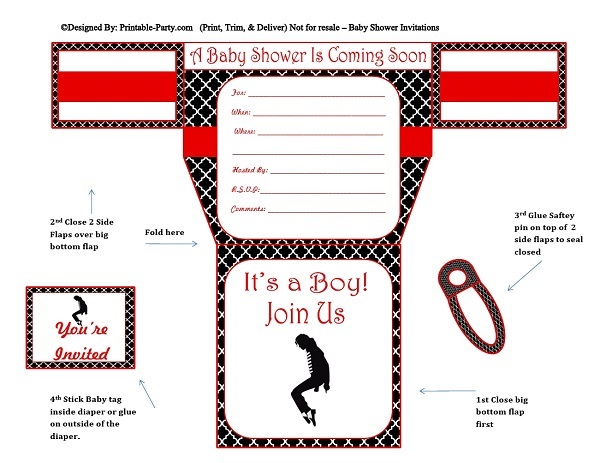 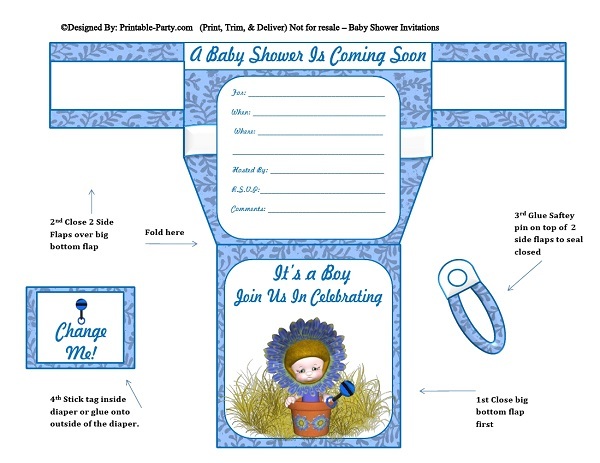 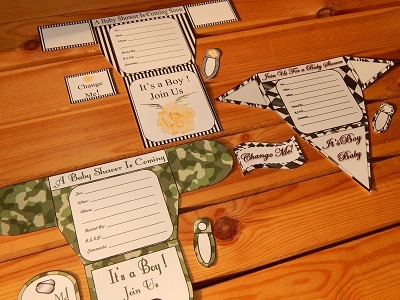 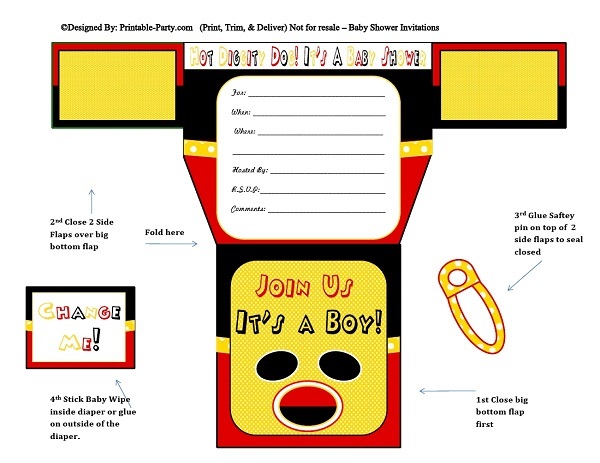 Boy Diaper Invitations for baby shower celebrations. 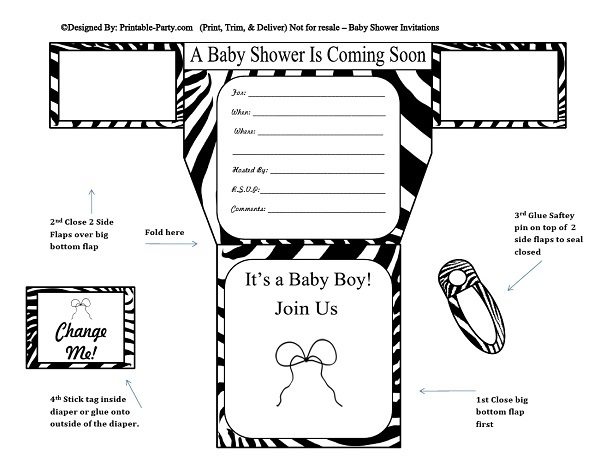 These invitations are printable and available to you for instant download. 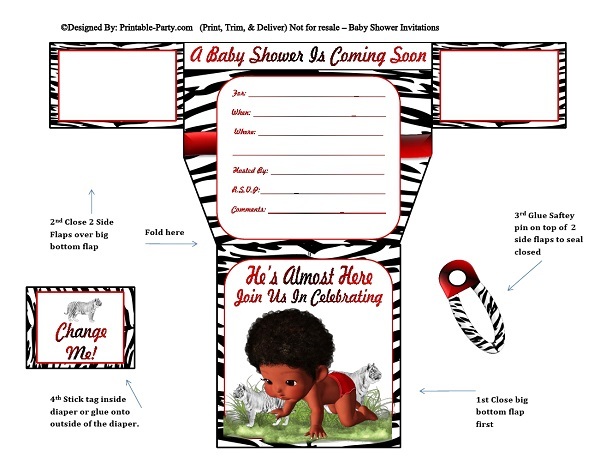 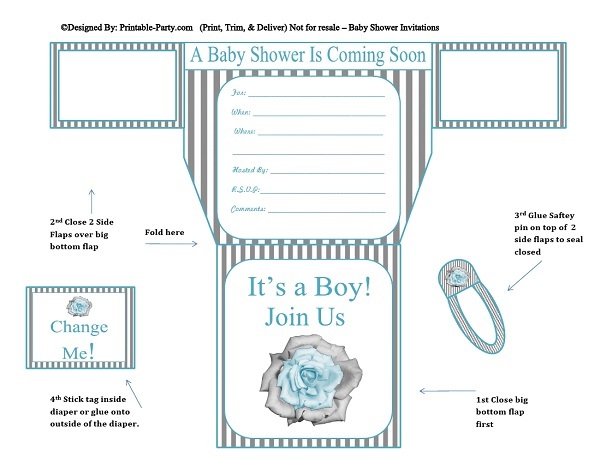 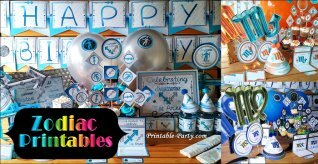 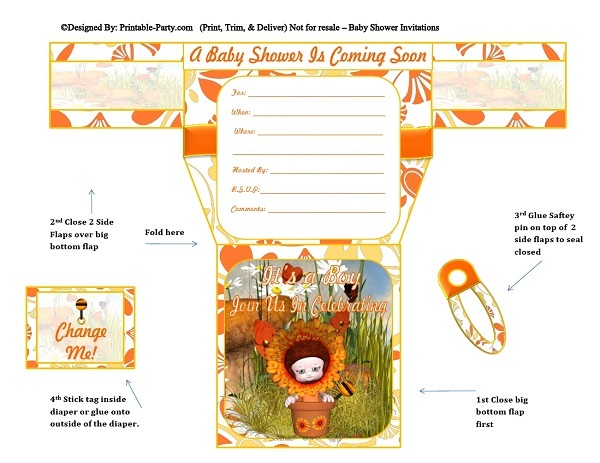 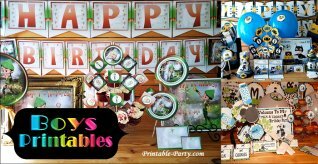 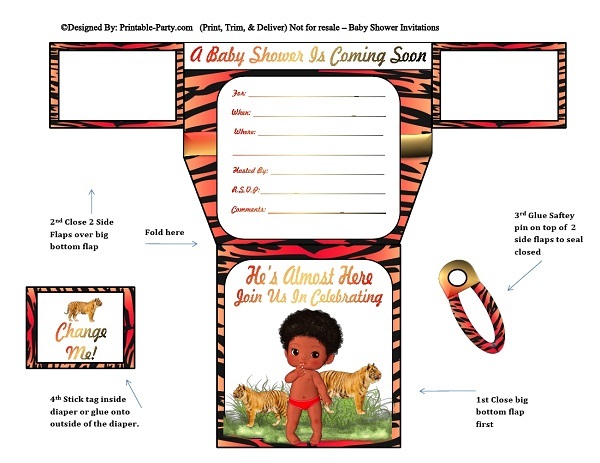 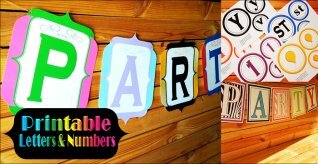 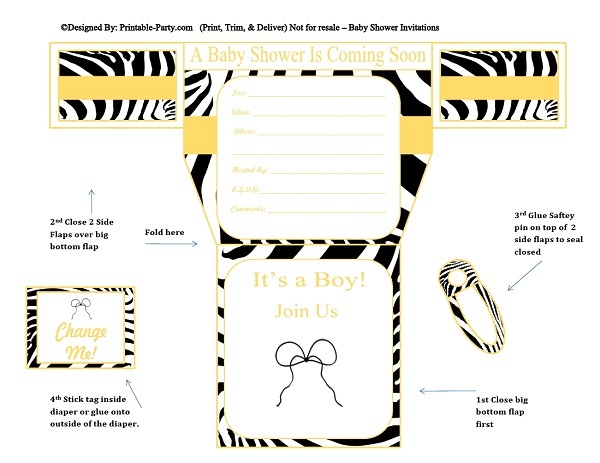 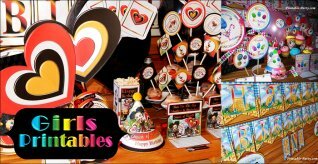 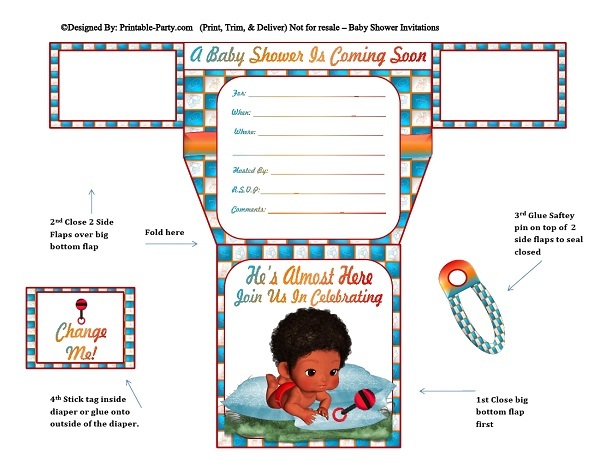 Diaper invites print out clear & you can print unlimited amounts. 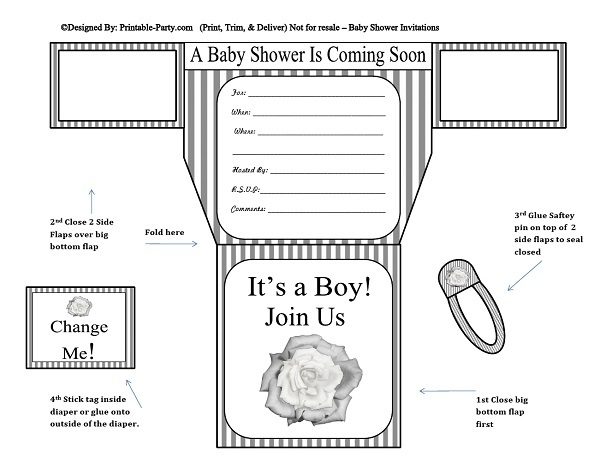 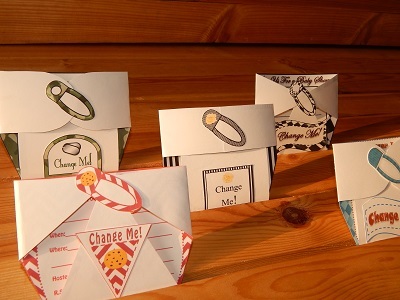 Printable invitations are made for you to print out on your home or office printer. 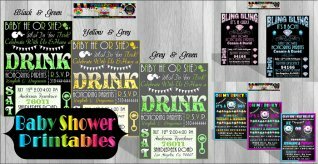 You can also take your digital PDF files to your local office depot, staples, photo lab, or local copy shop to be printed for you. 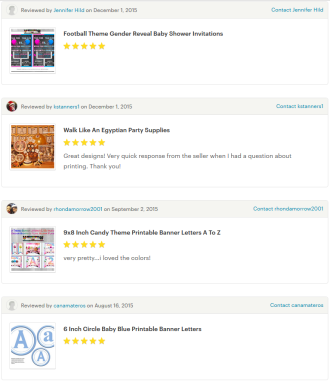 After purchasing, your files will be available to you for download instantly. 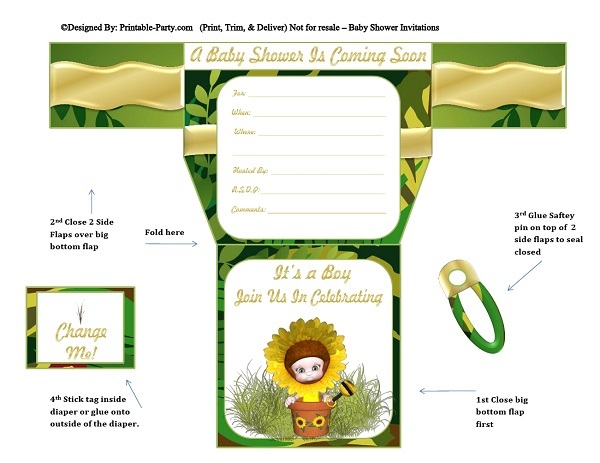 Invites look awesome when printed on card stock paper. 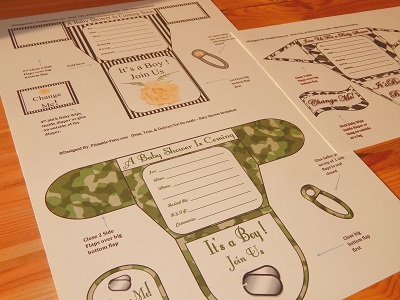 Print on 8.5x11 inch thick card stock paper for best results..